A well trained funeral home staff, just like most businesses, makes an enormous difference in the quality of services provided. 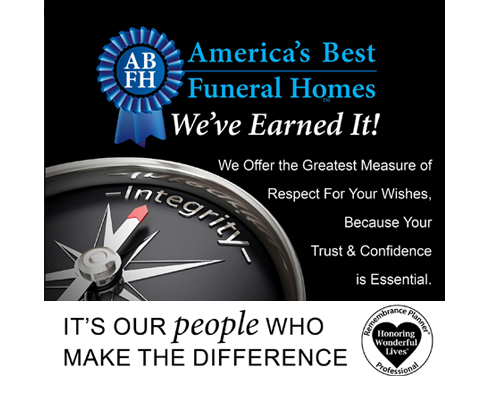 At our funeral home, we have a long standing tradition of hiring and developing the best funeral directors in the area. This results in an excellent experience for the families we serve. The funeral has so many important details, an experienced professional is vital in making sure that all the important details are handled with excellence. From the appearance of the deceased, planning of the service, the design of custom printed materials, the production of a touching video tribute, our staff will be able to effectively guide your family through this difficult time. Length of Employment: Began working at the funeral home 46 years ago. Community Involvement: President of the Milwaukee Society of the P.N.A., Member of the city of Franklin Fire and Police Commission, South Side Business Club, 3rd Degree Knight of Columbus, 4th degree Bishop Henni Council, Member and Past President of the Greenfield Lions Club, Member and Past President of the Milwaukee Funeral Director Association, Past Chairman of the Board the Wisconsin Funeral Directors Examining Board, Chairman of the Board of Lincoln Savings Bank, President of Lincoln State Bank, Member of the Board of Merchants and Manufacturers Bank Corp., Past Chairman of the Board of St. Francis Hospital, Board Member of Cystic Fibrosis Foundation Volunteer Special Olympics, Awards, South Side Business Man of the Year, Polish American of the Year, Recipient of the Melvin Jones Award (the Highest award a Lion can attain), helped found the Compassionate Friends - Milwaukee Chapter, and is also a Member of St. Anne Intragenerational. Hobbies/Interests/Personal: I love spending as much time with and enjoying our five grandchildren, golfing and fishing. I was born at St. Francis Hospital on Milwaukee's south side to Marv and Judy Kremski (nee Sass). My grandparents were established business owner's, with my grandfather Myron operating a tavern on 20th and Oklahoma, my grandmother Hilde owning and operating a card store and my mother's parents owning Max A. Sass & Sons Funeral Home. I attended Blessed Sacrament, St. Mary Hales Corners and St. Alphonsus grade schools and St. Thomas More High School. I went on to earn a degree in accounting from the University of Wisconsin-Milwaukee and my funeral service degree from the Milwaukee Area Technical College. I joined the firm in 1988 as an apprentice, was licensed in 1994 and have tried my best to continue our family's commitment to service ever since. I was married in 2000 to Amy Beining. We started a family and have three children, Caroline, Katherine and William. We live in Franklin and enjoy being part of the vibrant and growing community. We belong to St. Alphonsus Church, are active in many community activities and enjoy a wide range of outdoor events as a family. I am a member of Southside Business Club, served as subdivision president and on the finance committee at St. Martin of Tours. Community service has always been a hallmark of our family and I have served on the Board of the Franklin Educational Foundation and and I currently serve on the board of Franklin Junior Football. I enjoy coaching my children's basketball, baseball and football teams. 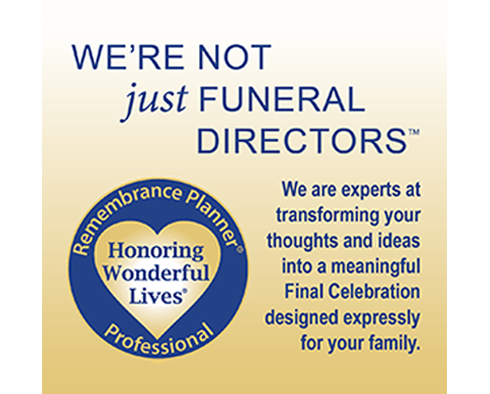 I pride myself in helping families to arrange funerals that are meaningful and personal. I want the families I have the privilege of serving to feel that they having honored their family member in exactly the way that was appropriate to them to not just follow the "same old format". I think in the past, some of the emphasis was taken off the person who had died and place on the ritual itself. Today people are doing an excellent job of blending meaningful rituals with personalization. Length of Employment: Joined the Max A. Sass & Sons Funeral Home in July of 1988. Community Involvement: Active member of St. Paul's Episcopal Church in Milwaukee where I sing in the adult choir, member of ASPCA, World Wildlife Fund, the Humane Society, The Nature Conservancy, Sierra Club, Greenpeace, Ocean Conservancy, Wisconsin Historical Soc., Milwaukee County Historical Soc., Milwaukee Art Museum, Amnesty International, Sherman Park Community Assoc. Hobbies/Interests/Personal: Gardening, traveling, exercise, proud owner of three naughty dogs, Tipper, Parker and Baxter. Community Involvement: Member of St. Lukes Lutheran Church Greendale, WI. Member of Voices of St. Lukes. Mmber of Muskego Area Chamber of Commerce. Hobbies/Interests/Personal: I was born in Luck, Wisconsin in 1955, and the youngest of three children. I grew up on a dairy farm which my parents owned in a rural area of Luck, WI. Because I grew up on a dairy farm I am used to a schedule that is not a Monday thru Friday Job from 8 -5. I attended a small public school in Luck, which housed first grade through 12th in the same building. Upon graduating from High School I joined the U.S. Army and served three years of active duty and three years of inactive duty. I served two of those years in Okinawa, Japan as a Morse Intercept Specialist with a Top Secret Clearance. After serving my active duty time in the U.S. Army I came home and worked for a short time in a plastic injection molding factory in the Luck area. I then decided with the help of my father, who was the sexton of the local church cemetery in Luck, WI. to go into the field of funeral service. I served a year of apprenticeship at a small family owned funeral home in Glenwood City, WI working alongside the owner of the business. That was a great experience and a great way to learn the business of Funeral Service. After my apprenticeship was completed I enrolled in the Funeral Service Program at M.A.T.C in Milwaukee, WI. While I was going to Mortuary Science I also worked full time at Rexnord Plastics Division in Grafton, WI. I would commute to Milwaukee from Grafton every day to attend the Mortuary School. I went to school during the day and would work the second shift at the plastics factory to support myself. I would also work at a Funeral Home in Port Washington, WI on the weekends to further my experience in the field of Funeral Service. I began working at the Max A. Sass & Sons Funeral Homes on December 1, 1985 and have been with the firm since then. I have two adult daughters which are both married and I have one grandson and one granddaughter, and what a joy they are. I try to spend as much time with my Daughters and their husbands as I possibly can because they are the most important part of my life. Family and friends are a very integral part of anyone's life and we only have one chance at making the best of it. My goal as a Funeral Director at Max A. Sass & Sons Funeral & Cremation Service is to help you plan the most meaningful and memorable Funeral or Memorial Service you can for your loved one who has just passed away. Experience: Funeral Director/Embalmer for 14 years. Community Involvement: Lifelong member of Mt. Calvary Lutheran Church. Hobbies/Interests/Personal: Enjoys time with family and friends and working around the house. Education: St Matthias Grade School, Graduate of Nathan Hale High School in West Allis and a 1990 graduate of the mortuary science program at MATC. Experience: The last 28 years I've guided thousands of families in the planning of meaningful services, from memorial services and traditional services, to pay tribute and celebrate the lives of their loved ones. Personal: I enjoy spending time with my Family, working around the house, motorcycling, camping, fishing and hiking with my family. I am member of St Alphonsus Church and the Patriot Guard Riders, a group of motorcycle enthusiasts, paying tribute and honoring those who served in the military with motorcycle escorts. Education: In 2013, I graduated from the Funeral Service program at MATC and became a licensed Funeral Director. Personal: I was born and raised on the southside of Milwaukee where I still reside today. In 1987, I graduated from South Division High School. Taking a few years off after graduation, I earned my Bachelor’s Degree in both Psychology and Sociology from UW-Milwaukee in 1995. I started looking for a second career choice when my daughter was ready to go off to college. I gravitated towards funeral service. In 2013, I graduated from the Funeral Service program at MATC and became a licensed Funeral Director. In my free time I love spending time with my daughter, family and friends. I also enjoy walking my 2 dogs and reading. I was born and raised in a small town in northern Wisconsin. I graduated from Antigo High School in 2004. I attended the University of Wisconsin Fox Valley and Milwaukee Area Technical College. In 2008, I completed my Associates degree in Mortuary Science. I enjoy community involvement and helping others. In 2009 I went back to school and obtained an EMT license and volunteered for local departments. I started with Max A. Sass & Sons in 2011. I have a son named Will who was born in 2014. I enjoy my community and neighbors in Greenfield. I belong to St. Stephen the Martyr Catholic Church in Oak Creek. In my free time I spend time with family, friends and my dog Mazo. My hobbies include volleyball, spending time at our family cabin on Post Lake and traveling. I am grateful to be able to facilitate the ultimate gift to one's family. I started at the Max A Sass & Sons Funeral Homes in 2007 as an Apprentice Funeral Director and was given the opportunity to stay on after I received my State license. I grew up in Oak Creek and still reside there today. I am one of four children. I enjoy bowling, reading, playing softball and hunting. Length of Employment: Joined the Max A. Sass & Sons team in January 2016. Degrees: Bachelors in Criminal Justice from UW-Milwaukee and Associates in Mortuary Science from MATC. I was born and raised in Mequon, WI and currently reside in Shorewood, WI with my fiancé and two Sphynx cats, Ren and Neelix. In my free time I enjoy running, hiking, baking, knitting, working on my Swedish language skills, and traveling wherever possible. I am a member of the Sons of Norway and an avid volunteer through the Holiday Folk Fair International. I was born and raised in Waukesha and moved to Greendale with my family during my junior year of high school. I was born and raised in Wauwatosa where I currently reside with my lovely wife and three beautiful children. I enjoy spending time outside with my family gardening, hiking, biking and swimming. We are currently members of Lifeline Church where I am at active in men’s and children’s ministries. I chose a career and funeral services because of my passion for people. My life experiences have taught me to have compassion and understanding for everyone. I believe in servant leadership and enjoy helping families through the grieving process. Shannan has enjoyed working with the Seniors in our community and their families for the last 15 years. 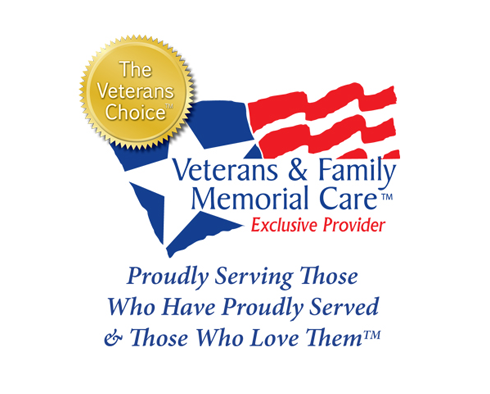 Prior to having the privilege of joining Max A Sass & Sons funeral home she helped families find in home nursing care for their loved ones in Southeast Wisconsin, part of these responsibilities was to advise families about the need to have advance directives and funeral plans in place for the future such as Pre- Planning for their loved one’s celebration of life. As time went on she felt a passion to be a part of helping families in the planning process. Shannan took steps to follow her passion in helping families to pre- plan the celebrations of life for their loved ones. 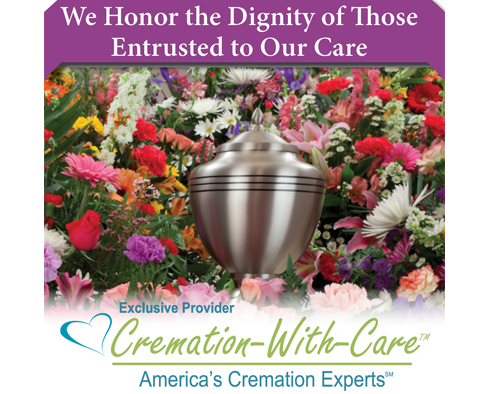 She assists families in Pre-planning for Traditional Burial and all styles of Cremation ceremonies. Shannan meets with widows/ widowers and their families after a loss of a loved one to discuss filing insurance documents, social security benefit, providing information about finding grief support. Shannan lives in the area with her husband Bob and their 3 large rescue dogs. They enjoy boating in the summer and watching their children and grandchildren play sports. Education: St. Josaphat grade school, Don Bosco High School, 4 years US Air Force. Married 30+ years, with children. Member of St. Helens Church. Retired after 33 years of sales and management with Sears Roebuck. 16 years with Max Sass. Interests: Selling on eBay, Antiques, gardening, ushering at Sunset Theatre Elm Grove, and Milwaukee Rep. Length of Employment: Joined Max A. Sass & Sons Funeral Homes in 2016. Born and raised on the south side of Milwaukee and have been married to my wife Lori for 16 years. Retired from the Milwaukee County Sheriff’s Department after 24 years of service, assigned to the jail, freeway, airport and as a Detective. Honor Guard Commander for 24 years. Spend my free time with my wife traveling Europe and the Middle East. Currently a state certified motorcycle instructor fulfilling my passion for riding motorcycles. Life long interest in auto racing, currently a crew member for a team that races locally. Length of Employment: Since 2003 Community Involvement: Member of Divine Mercy Parish in South Milwaukee and a Lay Minister for the Parish. Hobbies/Interests/Personal: Coached Track and Cross Country at Cudahy High School for 13 years. I enjoy golf, biking and cross country skiing. The Boy Scouts of America has had my services as a volunteer Scouter for the last fifty years. I have served my country for six years in the Marine Corps. I am married to my lovely wife Johann, we have two great children and five wonderful grandchildren. I enjoy watching my grandchildren participate in their sporting activities. Community Involvement: Milwaukee Braves Historical Assoc Treasurer, St. Anne's Center, Mendota Club U-W. – Polish National Alliance – Milwaukee Society. Hobbies/Interests/Personal: Sports and travel. Traveled with Green Bay Packers 33 years, Dallas Cowboys 2 years, St Louis Cards 1 year, Houston Astro's 1 year, Milwaukee Braves 5 years, Milwaukee Brewers 7 years, and Milwaukee Bucks 6 years. C. Kaminski was born in an apartment above the former Gutowski Funeral Home located at S. 15th and Rogers, to Harriet and Zygmunt Kaminski, who was sports editor for the Nowiny Polskie. He graduated from St. John Kanty, Marquette High and earned a J/A BA degree from UW-Madison. His first job at age 14, while in high school, was at Lincoln State Bank where he performed all sorts of odd jobs after school and weekends for 75 cents an hour. After college he worked in advertising at the West Bend Company, and part time at WBKV FM evenings and weekends. Then he moved to WITI-tv6, as promotion and public relations director. He became a partner in an advertising agency and later operated his own agency. He was one of the founders of Franklin State Bank in 1982. That same year he started the first Polish Fest and managed it for two years. He returned to Lincoln State Bank as president and also served as president of M&M Bancorporation. Interesting items: While at TV6, Conrad went up to the top of the tower to film painters working on it. The 1,078 ft. tower was lighted at the time. A proud Army veteran, Conrad spent 13 months at Eniwetok, the Atomic Energy testing grounds in the Marshall Islands about 10 degrees north of the equator. Conrad is active in a variety of charitable and civic activities, too numerous to mention. He is married to Kathleen and together they have four daughters. Length of Employment: joined Max A. Sass & Sons Funeral Homes in 1999. Community Involvement: Active Member at St. Veronica Catholic Church. Volunteer at the St. Ann Center for Intergenerational Care. Member of Chute Pond Snowmobilers Club, and the Dusty Trails ATV Club. Hobbies/Interests/Personal: My husband Tim, our son Vincent and I enjoy time together with my parents who are very proud grandparents. We are avid snowmobilers, ATVers, and all around outdoors people. I like to work in my garden all spring, summer and fall. During the winter months I crochet and scrapbook. Involvement: Active member at St Matthias Catholic Parish. Volunteer and active PAC member at Honey Creek School. Personal: Lives in Milwaukee with my husband Dennis and our boys Gregory and Owen. I enjoy watching my boys play baseball for Wilson Premier Youth Baseball, camping, outdoors, singing, and spending time with family. Since birth, I have called Milwaukee home. I was raised, the baby of four, by two wonderful parents only a few blocks from our flagship location on 15th and Oklahoma. I greatly benefitted from my parochial education, which began at St. Alexander on 16th and Holt and continued to St. Joan Antida High School. After high school I worked a variety of jobs whilst searching inwardly to decide how I could most effectively put my time and talents to use for the service of my community and sense of purpose. I arrived at the decision to become a funeral director fairly organically. Once the decision was made, I put the wheels in motion to obtain the necessary education for licensure. I attended Worsham College of Mortuary Science in Wheeling, Illinois and have nearly completed my general courses through Milwaukee Area Technical College. It is with optimistic enthusiasm that I approach achieving my director's license. I have been employed with Max Sass as an apprentice since 2013 and I would not trade the experience for anything in the world. Words cannot accurately convey the humbling gratitude I have for the opportunity to give back to the community that shaped the adult I have become. When not at work, I enjoy a cheerful home life in Glendale with my sweetheart, Chris, and our two cats, Ira and Morty. A penchant for theater means that I can frequently be found in an audience somewhere, whether it be a small stage with an audience of 20, a large production at one of the city's amazing venues, or even the occasional early autumn jaunt out to the American Player's Theater in Spring Green, WI. My family and I belong to Gesu Church and though I am fairly private about my faith, it quietly strengthens me. Other areas of interest include cooking, baking, reading, sewing, hand embroidery, and watching documentaries. It is with kindness and logic that I approach the service of our families and will continue to do so vehemently. I recently moved to South Milwaukee, WI. I was born and raised in Freeport illinois. I graduated from Freeport High School in 1995. In 2008 I graduated from Robert Morris College, in Chicago Illinois, where I majored in culinary arts. Shortly after graduating from Robert Morris I opened, and operated a restaurant in Freeport, Illinois. In 2014 I graduated from Worsham College of Mortuary Science. Before moving to South Milwaukee I worked for the Stephenson County Coroner's Office as a deputy coroner. In my free time I enjoy cooking for charity events.